Second event in the Summer Soup Free Summer Theatre Series. A SOUP aesthetic means that we encourage ideas to simmer beyond the classroom and outside of the University Theatre season. We choose new plays or projects with opportunities for abbreviated, intense student engagement. We apply practical solutions creatively, with minimal resources. We invite the campus and Eugene community to join us by giving free tickets to everyone. 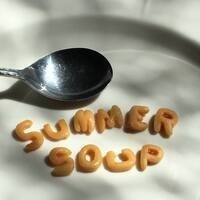 Summer SOUP aims to satisfy artistic hunger in the summer months with a hearty blend of challenging content, ingenuity, communal effort, and theatrical adventure.